Tavex, a brand with over 170 years of experience as a leading denim producer, has decided to take a vital step forward for its future – a natural move in the company’s evolution, that is presented with a change of name and trademark from May 2018. Evlox is committed to a more modern and dynamic image which represents the differential values of the company: tradition, confidence, proximity and flexibility. Luis Aguiar, Evlox’s CEO, explains the reasons for the change: ‘We needed to display outwardly what we already are inside. 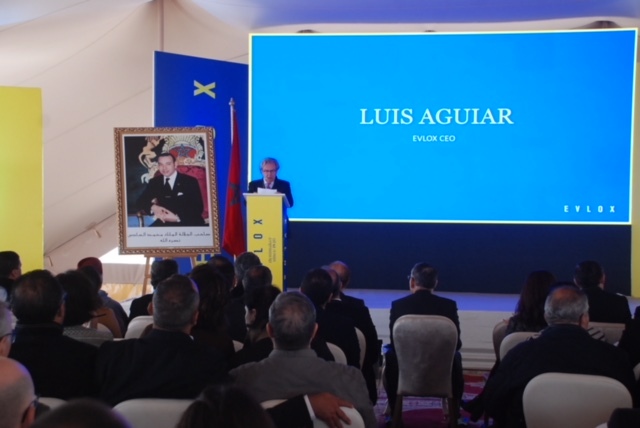 On April 11th the new brand name was presented in an exclusive and unique event in its facilities in Settat (Morocco). Among the atendees, there were over 250 customers, personalities and press from all over the world.